One January in junior high, my younger brother decided his New Year’s resolution was to read the entire Bible through that year. Not to be outdone and purely for the bragging rights, I decided I would do it too. Three chapters each weekday and five on Sundays would get me from Genesis to Revelation by December 31st. I had grown up around the Bible, memorizing verses in our Wednesday night club, giving the correct answer even though mortified when called upon in Sunday school. I could get anywhere I wanted in the Bible thanks to “sword drills” and songs that helped me learn the books and their order. I could even spell Deuteronomy with ease. But something shifted that year. What started out as sort of a secret dare to myself to compete with my brother became the year I fell in love with Jesus. It became the year I moved from a surface understanding of Scripture to soaking up encouragement and receiving the Holy Spirit’s challenges as I read. The Bible became so much more to me that year. Fast forward many years, two degrees from Bible colleges that required specific classes in things like hermeneutics and spiritual disciplines, and a very challenging first term overseas. 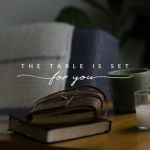 My time with the Lord felt like sitting down with a boss to receive my marching orders for the day, nothing like an intimate encounter with the God who loved me. So I stopped reading the Bible, stopped having a quiet time like I had done for decades. Is it okay to admit that in this space? Well, I guess I am. I didn’t read my Bible daily, because I wanted to love it again. I started my mornings listening to YouTube worship videos because I needed a way to express what was in my heart, to soak in a different way. It’s been a journey of coming back to a place where Scripture is my soul food, the source of holy inspiration. I love again the gentle questions Barton offers that we can ask ourselves as we read Scripture. How do I feel about what is being said? 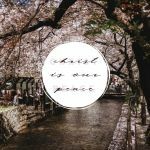 Where do I find myself resisting, pulling back, wrestling with what Scripture might be saying? And then not judging my responses but just observing. What do my reactions tell me about myself? Have you had experience with the practice of lectio divina? I first learned about it in college but haven’t practiced it for a long time. Lectio divina means “sacred reading” and according to Barton, dates back to the early church fathers. It is “rooted in the belief that through the presence of the Holy Spirit, the Scriptures are indeed alive and active as we engage them for spiritual transformation”. It strips away our human agenda so we can be more open to what God wants to speak to us, work in us, through His Word. Barton gives an excellent overview of the steps and process of lectio divina at the end of Chapter 3. What has been your experience with Scripture reading through the years? Is lectio divina a tool you’ve used to connect with God through His Word? What are other ways that have resonated with you? Have you had seasons where you’ve had to change up your routine of time with the Father? I’d love to hear your thoughts and stories in the comments! Here’s the plan for the rest of the book! Join Rachel the next two weeks for some great discussion. Often I find that when I’m reading the Word I’m processing it through a lens of how I could pass it on rather than seeking my own transformation. This is such a good point. I tend to do the same thing. Jodie, that is definitely true! I think it is important to think through who we could tell about what we are reading- it’s a gift we can share with others. But it is good to be intentional about doing both, not neglecting one or the other. 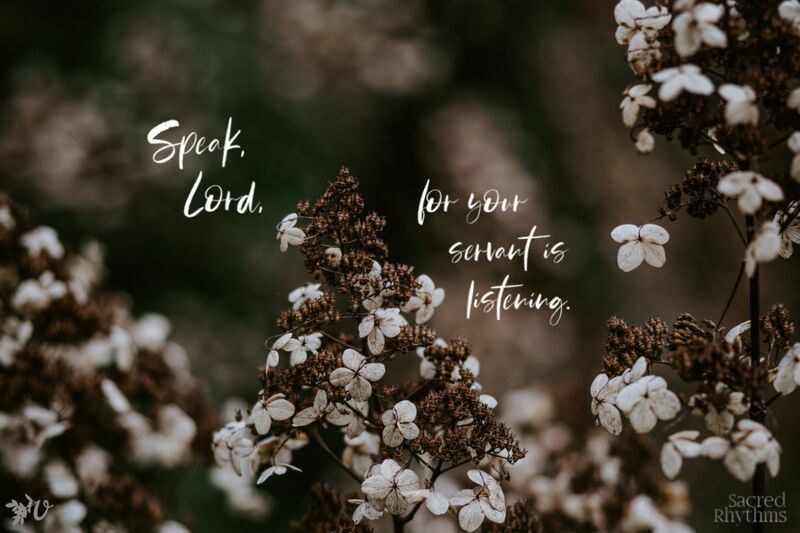 We can ask the Lord if there’s someone who needs to hear the truth of what we read, but also be present in the moment for what He wants to say to us. The Bible is such a living book, but I too have gone through seasons where it seemed dry. Just coming out of one, actually, into a season of more life. Interesting that when you go through a dry spell, it seems like the book is even more alive than before, when it comes alive again! Elizabeth, thank you for sharing this hope- I look forward to that happening in more own life more and more! I always had the problem of starting a read through the Bible in a year plan, but never finishing, so last year I set the goal to read it by Easter. I loved it so much I’m doing it again now, and am going to try and do it every year. I love the way it helps me prepare for Easter, and reading it altogether helps me make all the connections I would otherwise miss. It has helped me to love the Word of God again. Sam, that’s really amazing! What a sweet way to prepare for Easter!! Thanks for sharing with us. I have read through the Bible a bunch of times – front to back, chronologically, 4 streams. My favorite was reading Genesis to Revelations in 100 days. It was a solid hour of reading each day. The plan I was following also encouraged finding a verse in that reading which I could pray when I finished reading. You know I like to read – it was a treat to be able to sit for an hour and read, read, read. But I think that the scripture prayer part made it so much more meaningful than any other time I’ve read through the Bible. These days, I spend most of my Bible time in inductive study or prayer journaling through the Psalms. One is more intellectual and the other more emotional, and I need both. I really like that idea Rachel. Do you have a name or link to the 100 day plan? Yes! It’s here at Mercy Is New. The blog post described it, then at the bottom of the page are 2 pages of PDFs with the plan. Rachel, I love that you have both the inductive/study time and the prayer journaling through the Psalms as part of your Scripture reading time! I tend towards one or the other but haven’t intentionally included both. I also love the idea of finding a verse to pray each day!! I have found that reading in large chunks has been more meaningful for me, too. There’s a cohesiveness to God’s story that can get lost when reading shorter sections. This year in BSF we have read certain Psalms alongside the story of David as king, and that has deepened the meaning of those psalms to me. And like you, the combination of intellectual and emotional provides a richer experience of the word. Thanks for the scripture prayer idea. I think that fits well with the lectio divina, in that the Spirit wants to show us God’s will and pray it back to him. This chapter was very rich for me. I am currently doing a read through the Bible plan that follows the American school year (September to May). 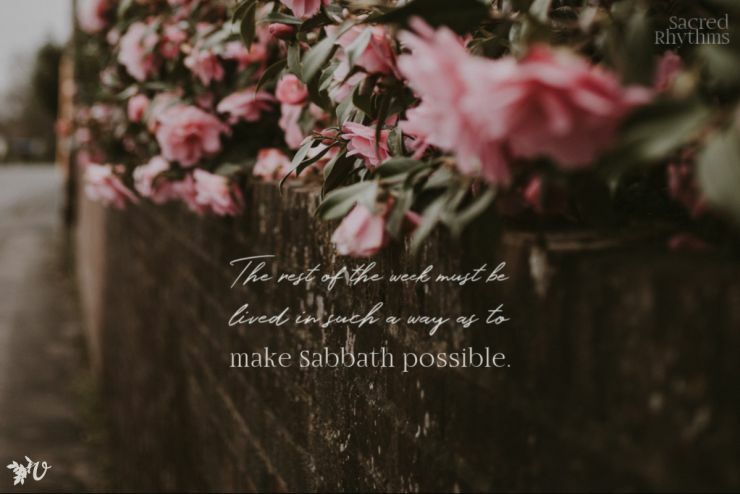 It’s been a good plan in that there is no reading on Sundays and there are lots of catch up days sprinkled throughout as I am finding that I often need to get back on track. However, I have to confess that much of this time has felt like tough slogging. I haven’t felt myself encouraged or growing closer to God, I haven’t found myself filled with awe or wonder at His faithfulness or His works. I really enjoyed Barton’s suggestion to allow yourself to be with your reaction to the text. I have found myself reacting differently to some OT passages this time through and that has made me uncomfortable. That’s not necessarily a bad thing if I can stay with that long enough to allow God to meet me. I also think as Rachel has suggested that I need to find a way that I am engaging both my intellect and my emotions through the text. I liked the ideas of reading and picking out a scripture prayer or taking a smaller section of verses and doing lectio divina with that. I have done lectio before but only in a group setting. I am excited to try it out again in my personal reading. These past few days have been better as I am now reading in Romans and hearing more clearly about the work of Christ of my behalf. I agree with Elizabeth, that often after the Bible has felt very dry it becomes more alive than before. Sarah, thank you so much for sharing! I really appreciated that point that you mentioned as well- paying attention to our reactions and then sitting with them, allowing God to meet us. I’m not good at that, honestly! 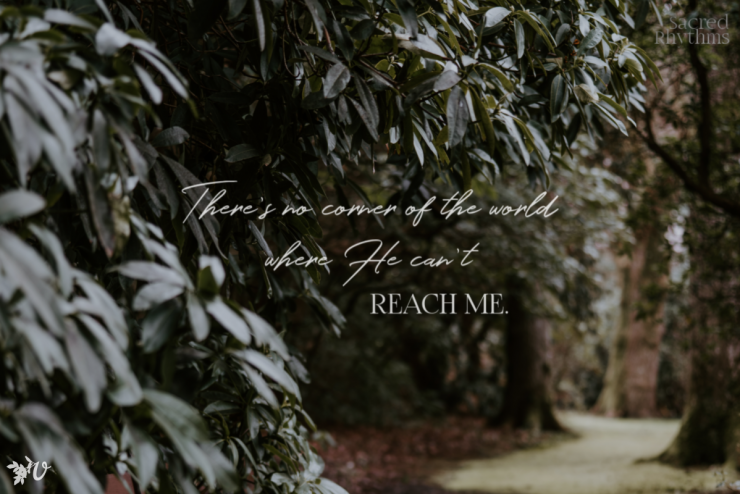 I have been noticing the things that jump out at me or resonate with me as I read, but I don’t follow the trail any farther to see what God might have to say through those stirrings. To be honest I am going through a difficult transition season (I was a missionary overseas deported back to the US) that was unexpected and left me feeling blindsided. 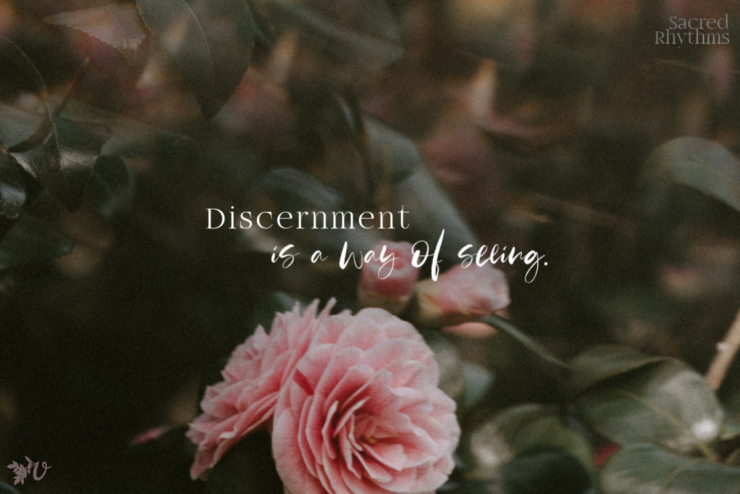 I feel like sometimes during seasons of transition my heart feels numb and although I’m reading the Bible, I find it hard to let the words sink in and I’m having to re-read things over and over, but it feels like a disconnect. Has anyone else gone through seasons where maybe they experienced a lot of personal pain and this made it harder to interact with Scripture? Sometimes pain helps me connect more to Scripture but other times of pain I feel more like I’m going through the motions while reading it. Brooke, I’m so sorry this has been a rough transition time! I understand what you are saying as I’ve had both experiences- when Scripture felt so meaningful in the painful times and when I felt disconnected. I don’t have any answers but I’m praying for you! I’m asking the Lord to meet you right where you are at and bring healing and comfort in ways that might surprise you. Brooke, my heart also goes out with you. That is a tough situation and I hope you have had an opportunity to debrief with someone. 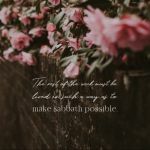 I have also found times where I have felt bewildered by life’s experiences and that the Scriptures felt distant and disconnected as well as times where they have been a huge comfort. I have found music to be helpful during those times of disconnect as it relates to our emotions more directly. Two resources I have also found helpful are: Trusting God even when life hurts by Jerry Bridges and Spiritial Rhythm: Being with Jesus every season of your soul by Mark Buchanan. The Rhythms one talks about how we can focus on different practices at different seasons in our lives to draw close to God. I found it very freeing. Blessings to you today. Brooke, as soon as I read your comment, I had to write, even though I don’t have anything to offer other than sympathy. It’s been 10 years since I was deported, and that word still just makes me feel sick. It’s so rare to find someone else who has been through the same thing! (Yes, everyone has their own pain, but it seems that few can say they were deported.) I will be praying for you. I have heard of lectio divina before and tried it. For myself, I don’t find that it’s a sustainable daily habit. Yes, it’s great when I’m already chewing on a passage and want to dig deeper into it, but it’s use not something for my everyday life, at least not now. What I’m taking away from this chapter is about negative responses to Scripture passages. I have had a part of the Bible kind of itching with me for a few months now. Instead of just trying to ignore that and move on, I want to get to the bottom of what is going on there. I would appreciate prayer for that.